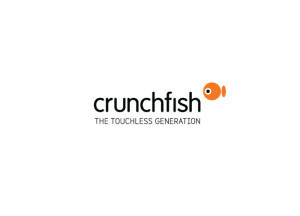 Crunchfish, a Malmö, Sweden-based provider of a mobile touchless interaction platform, completed a SEK28M third round of angel funding. Silicon Valley entrepreneur Kenneth S. Thom and Rasmus Nanhed, the Switzerland based Director of Sales at the international office furniture company Kinnarps, joined the current team of investors including Saudi-Ethiopian businessman Mohammed Al Amoudi, chairman Joachim Samuelsson, Stephan Carlquist, Claes Ohlsson, Claes Ripa and Anders Williamsson. The company, which also announced internal share transactions of SEK3.5m, intends to use the funds to accelerate growth and expand in San Francisco. Led by CEO Joakim Nydemark, and CTO Paul Cronholm Crunchfish provides device manufacturers and mobile application developers with a platform that enables mobile touchless interaction by gestures. Its Touchless A3D® software platform detects and tracks objects in three dimensions relying only on the video stream from the embedded camera in a device. The platform is hardware independent and runs on all major mobile operating systems. The technology can be experienced by downloading GoCam on iOS, a touchless camera and video app.